MAGAS lashes out with a futuristic no wave attack. His songs are stripped down, fucked up, and glammed out. His place is the modern dancefloor, dirty rock clubs and sweaty basements. The primitive techno beat, combined with gritty synth riffs and obliquely echoed vocals, is capable of destroying packed houses (and semi-crowded rec-rooms). James Marlon Magas (aka MAGAS) is a solo artist from Chicago, who produces raw and swaggering techno pop with reckless abandon. Bizarre electro rock anthems are squeezed out of cheap electronic equipment, creating head-nodding euphoria and teen-like hysteria. With strong emphasis on rhythm and power, Magas' songs have an electrifying melodic throb that move like a slow black car. Effortlessly exploding through flimsy genre walls at the push of a button, Magas creates a new kind of synthetic rock for modern rockers. 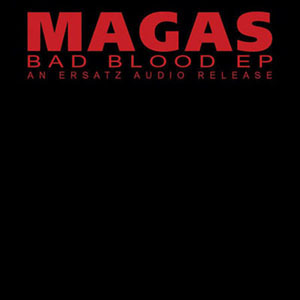 In September of 2001, Magas' "Bad Blood" ep was recorded in Detroit at the Ersatz Studios with co-production assistance from Adam Lee Miller of ADULT. As a producer with an understanding of modern and primitive technology, Miller was able to preserve the raw Magas feel, while sonically enhancing it for maximum devastation. 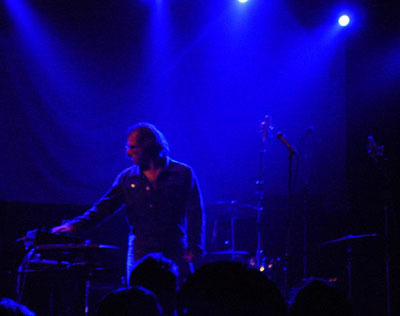 MAGAS' energetic live performances have won him a strong local following in Chicago, and have made him a chosen opening act for Sonic Youth, Peaches, Gonzales, The Sea and Cake and Andrew WK. MAGAS' mastery of stage is the sum of his experience fronting such avant-punk bands as COUCH and LAKE OF DRACULA. Both bands earned cult followings, releasing records on such labels as Bulb, Skin Graft, Kill Rock Stars, Carcrash, Blackjack, Insignificant, Nightcap and Scratch. John Peel once opened his radio show with Lake of Dracula's "Plague of Frogs" and Couch's "Old Man" was covered by Andrew WK, appearing on his "Party 'til You Puke" ep. MAGAS' first ep "Double-Sided Magas" was independently released by Magas himself in 2000. Thrill Jockey released Magas' first remix 'Jealous' Remix of Bobby Conn's 'Winners'.